Product Consists : 1/2 Kg Black Forest Cake along with Free Roli Chawal. Give your brother a delectable treat on this Bhai Dooj with this toothsome gift hamper. 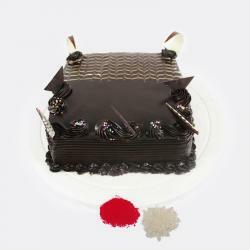 A fascinate Black Forest Cake with complete delite for this festive season. 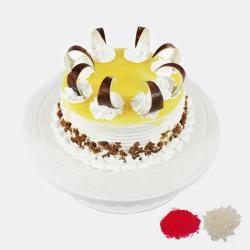 Black Forest Cake is the best to relieve stress and tickle the taste buds. This cakes do much to make any celebration special and so we have one here, that is decorated marvelously with Red Cherry icing and Chocolate coated around the sides. The traditions include an aarti or a ceremony where the sister applies a Kumkum tikka on the brother forehead. This is to show the appreciation and care for her brother On this upcoming Bhaidooj Day, treat your darling bro with splendid gifts to brighten his face with smile. 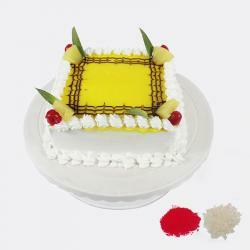 Endure all your endless love to your brother on this Bhaidooj by presenting this auspicious gift. 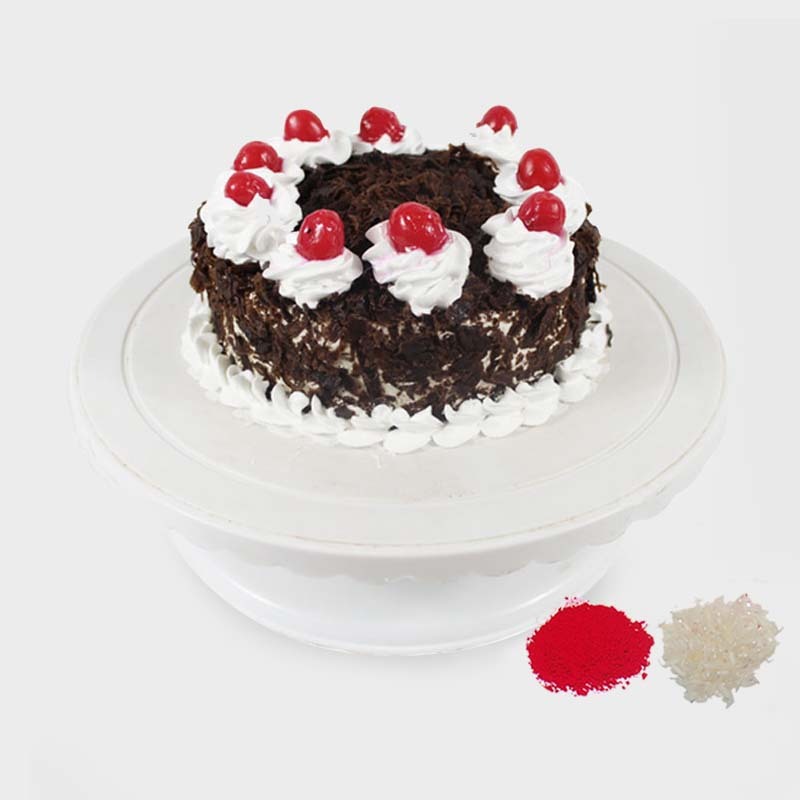 Product Consists : 1/2 Kg Round Black Forest Cake along with Free Roli Chawal.